On Sunday I found a braille watch. As you can see, the crystal flips open with the touch of a button. 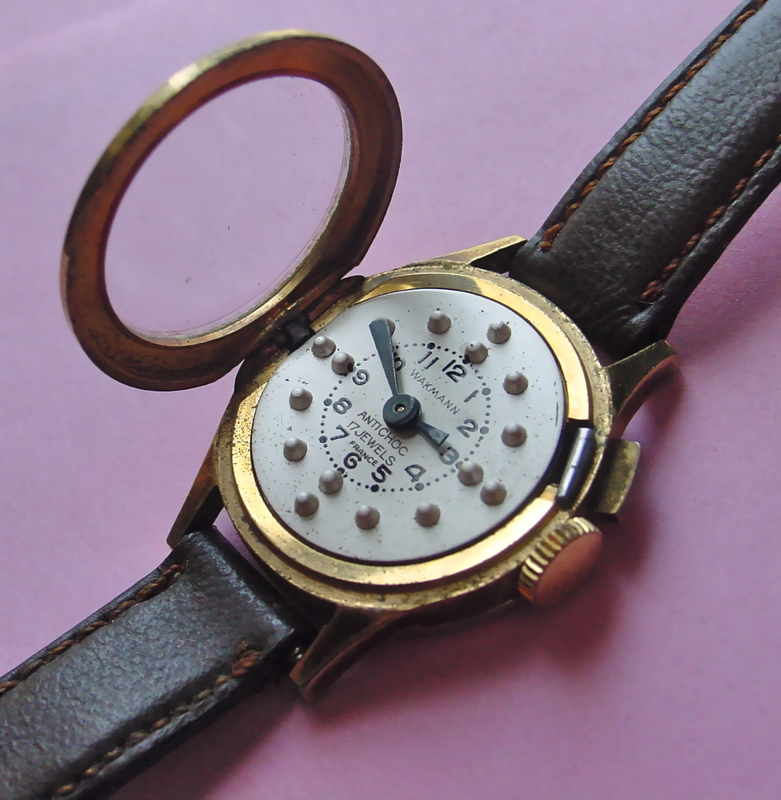 The dial has raised bumps for markers and unusually shaped hands so that one can tell time by touch. 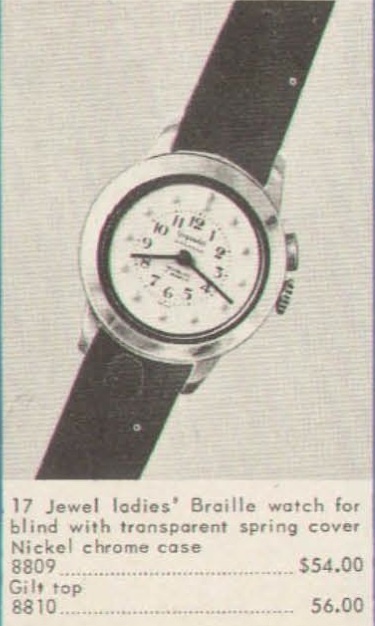 This one is made by Wakmann and dates from around 1959 (based on the watch pictured in the 1959 Wakmann catalogue, pictured below). This model is the gilt over stainless steel model, which originally retailed for $56 — which is roughly $417.10 in 2010 dollars.